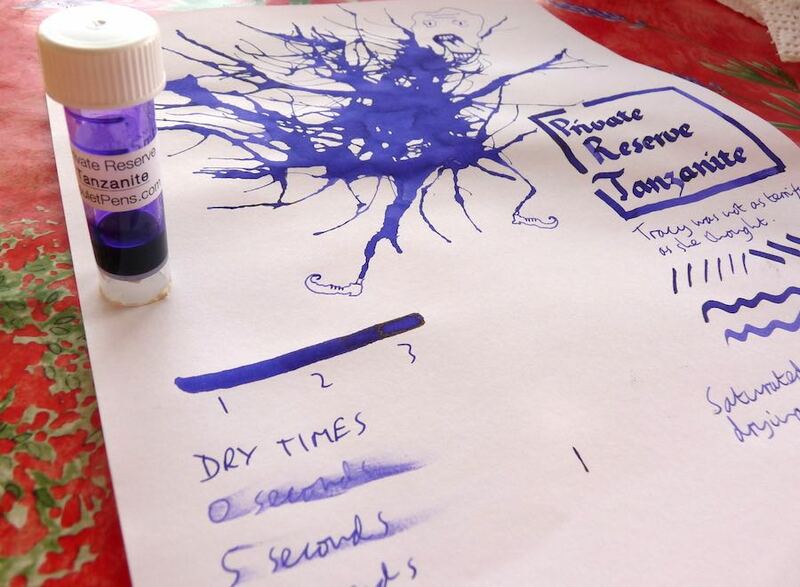 Private Reserve Tanzanite Ink Review – Pens! Paper! Pencils! A fairly unexciting saturated purplish blue. It dries quickly. 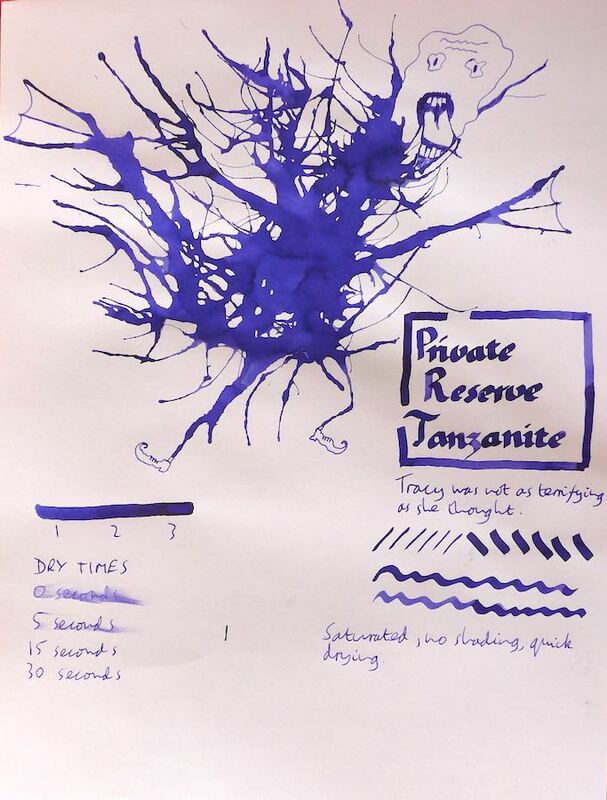 You can find some more reviews of Private Reserve Tanzanite on Pennaquod.